An organized scam targeting people who are selling used cars on Craigslist has hit nearly 100 people, according to insurance group. According to the insurance group, there have been nearly 100 such scam sales across the Midwest, with many in the Chicago area. Many of the victims live in states where they have title to the car even though they still owe money on a car loan. They are left having to continue paying the loan even though the car is gone. "These scams are well organized and have all the appearances of being legitimate," said NICB CEO Joe Wehrle. "But in the end, the criminal gets the car and the sellers or their financial institutions are left on the hook for thousands of dollars still owed on the car." Some of the victims have been able to get their cars back, according to the group. It said Mike and Christy Childers of Elizabethtown, Ky., sold their 2010 Corvette on Craigslist, only to learn that the check which their bank initially said was valid, was actually a fake. But law enforcement in Kentucky and Illinois recovered the car in Chicago where it had been listed for sale again on Craigslist. 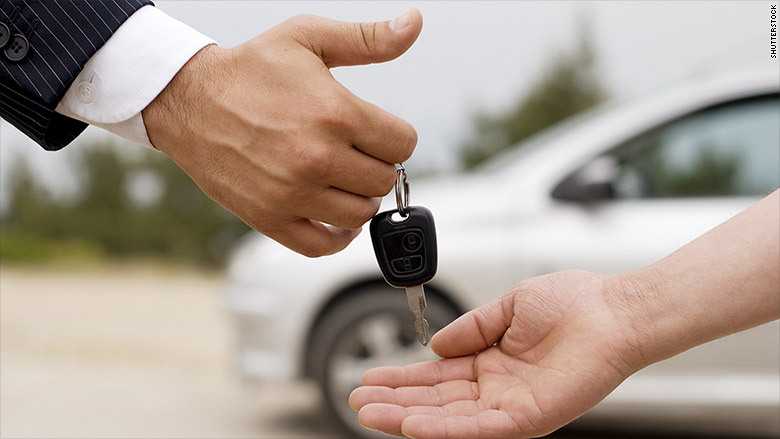 NICB advises anyone trying to sell or buy a vehicle on Craigslist to never sign over a title until they have the money in hand. "Avoid accepting any kind of check, but if you do, take the time to make sure any alleged bank or cashier's check has actually cleared and you have the cash in hand," it said. It also suggested following Craigslists' own scam protection guidelines. And it said face-to-face meetings should only take place in highly public places.